Having an angry-looking boil on the inside of your gum can be uncomfortable, debilitating, and sometimes embarrassing. One day there’s nothing and then BAM! There it is. What do you do about it? What CAN you do about it? Here’s an explanation of what it is and what can be done about it (do not fear- just let the dentist deal with it). What is a gum boil? Medically known as a Parulis, a gum boil refers to swelling or an overgrowth of tissue that develops on the gum. A gum boil may be the same colour as the gum or redder. How is a gum boil formed? When there is a dead nerve inside a tooth, it will seep out of the tooth via the tip of the root. Because the dead nerve is toxic, the body reacts by sending white blood cells to clean out the infection. Once these white blood cells die, they accumulate as pus on the tip of the root, which causes the formation of an abscess. If the abscess is not treated, it will break through the bone, allowing the pus to leak out of the gums and into the mouth. The point from which the pus leaks forms a blister called a Parulis. What causes a gum boil to form? A gum boil is caused by an infection brought on by plaque, bacteria and food particles beneath the surface of the gum, or as a result of an infection caused by a dying nerve. If you suffer from gum disease, you are more susceptible to developing gum boils. This is because gum disease causes the formation of pockets, making it easier for food particles to become lodged beneath the surface of your gums, causing an infection. Tooth decay may also trigger the formation of a gum boil as it causes the nerves of an infected tooth to die, leading to infection. Those who suffer from bacterial infections, mouth ulcers and periodontal disease, as well as those with compromised or weak immune systems, are also at risk for developing gum boils. This is caused by an infection brought on by bacteria that affects the gums, following an injury to the mouth. Food particles lodged in the gum could also be the cause. This forms on the tip of the tooth root. Because of the placement of the infection, it results in a build-up of pressure, resulting in bone and tooth pain. 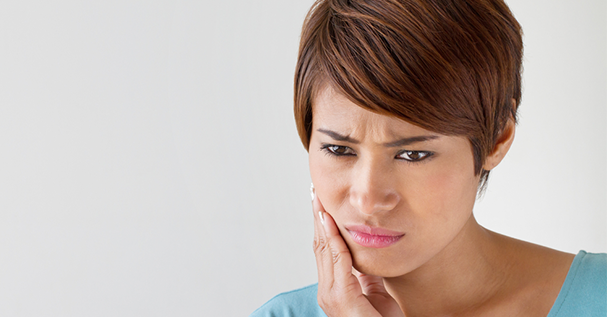 A root canal or an extraction will relieve both the pressure and pain. This is caused by the growth of bacteria inside a periodontal pocket. Failure to treat it, results in irreparable damage to the surrounding bone and ligaments, resulting in tooth loss. The most common form of a gum boil is gum overgrowth caused by certain prescription medications, dentures that have a poor fit, or braces. The best preventive measure that can be taken is to improve your dental hygiene practices, by brushing twice a day, using a quality antibacterial mouthwash, and flossing at least once a day. Can a gum boil be left untreated? It is important to treat a gum boil or an abscess. If left untreated, the infection can spread to your other teeth and even to other parts of your body. Furthermore, an infection can cause bone erosion, which will result in tooth loss. An abscess will need to be drained and antibiotics will be required to fight off the remaining infection. However, a gum boil may be an indicator of a bigger problem. A root canal may be needed to treat a dying tooth. Or, in more severe cases, the tooth will have to be extracted. It is best to use toothpaste that doesn’t contain harmful ingredients that could damage the tissue in the mouth, making you more vulnerable to infection. Treating your gum boil by use of home-remedies may not be the best solution as it could lead to more serious infections. It is advisable to consult your dentist to have the infection treated as soon as possible. If you are concerned about a gum boil you may have, we at Honeysuckle Dental are here to help. Give us a call and we will gladly assist you! How do I stop bad breath?